Randy N. Elrod, of Loma Rica, passed away November 8, 2018. 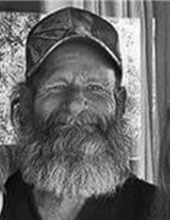 He was a handyman and lifelong resident of the Yuba Sutter area. He is survived by his life partner, Linda Little of Loma Rica; parents, Jeri and Lis Lewis of Gridley; children, Erik Elrod of Oroville; Anthony Elrod-Shields of Antioch, CA; Sasha Shields of San Diego, CA; step-child, Jaime Castro of Kent, WA; brothers, Kevin (Janet) Elrod of Biggs; Sam (Donna) Lewis of Argyle, TX; and Duane (Ellen) Elrod of Plains, MT; Thomas (Kasey) Harr of Blanchard, OK; Rodney (Becky) Harr of Gridley, CA; and numerous aunts, uncles, nieces, nephews and cousins. He is preceded in death by his mother, Maxine Lewis; brothers, Richard Elrod; Jeri Lewis Jr.
A potluck Celebration of Life will be held Sunday, November 18, 2018, 1pm, at The Foothill Lions Club Community Center, 5667 Fruitland Rd., Marysville, CA. To send flowers or a remembrance gift to the family of Randy N. Elrod, please visit our Tribute Store. "Email Address" would like to share the life celebration of Randy N. Elrod. Click on the "link" to go to share a favorite memory or leave a condolence message for the family.